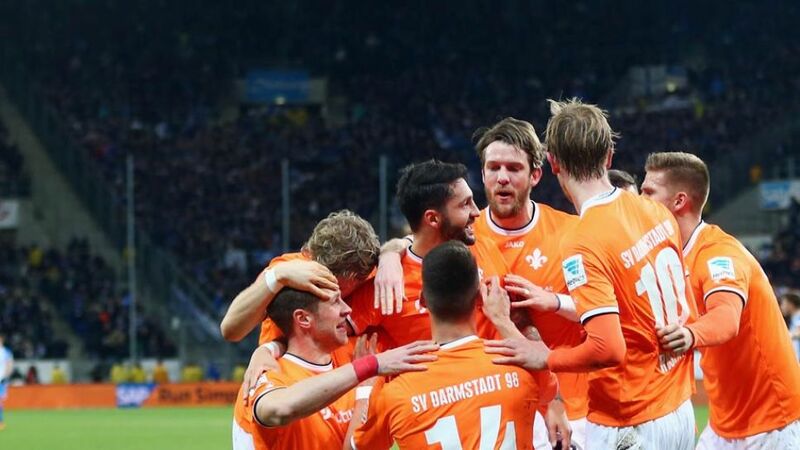 TSG 1899 Hoffenheim remain in deep relegation trouble after suffering a 2-0 home defeat to SV Darmstadt 98 for whom centre-backs Aytac Sulu and Slobodan Rajkovic both scored. Lowly Hoffenheim survived an early scare as Rajkovic headed a Konstantin Rausch corner against the crossbar. The hosts responded well enough and were unlucky not to get their noses in front when Andrej Kramaric fired goalwards, only to see his effort take a telling touch off Rajkovic for a corner. It was a set-piece at the other end of the pitch, however, that yielded the breakthrough. Hoffenheim goalkeeper Oliver Baumann was caught in no man's land following a corner, allowing Darmstadt captain Sulu to loop a header into the net, and bring up the Bundesliga's half-millenium of goals this season. Marcel Heller had a great opportunity to put a bit of daylight between the two sides after the restart, but the Darmstadt midfielder blazed over when well placed in the Hoffenheim area. Darmstadt substitute Tobias Kempe then drew a fingertip save from Baumann with a dipping free kick, although it was Hoffenheim who carried the greater threat in the latter stages as Kramaric had a goal ruled out for offside and substitute midfielder Nadiem Amiri went within a whisker of levelling. The day, however, belonged to Darmstadt - Rajkovic's close-range finish making the points safe five minutes from time. A defensive pillar with a goalscoring record most strikers would be proud of, the 2015/16 Bundesliga campaign's highest-scoring centre-back Sulu put in another exemplary shift for the Lilies. Hoffenheim's home form is not the worst in the division, but it is not far off (W1, D5, L4). If Huub Stevens is going to oversee another great escape as he did at the helm of VfB Stuttgart last season, the Dutchman will have to find a remedy for Die Kraichgauer's miserly efforts in front of their own fans - and fast. The woodwork has come to Hoffenheim's rescue on ten occasions so far this season.All five of Sulu's Bundesliga goals have come away from home.Sulu's header was the 500th Bundesliga goal of the season.Hoffenheim have failed to win a single one of their last 32 Bundesliga matches in which they conceded the first goal.